We are proud to be working with a range of partners providing great products and services to help startups and small businesses to grow. Liquid Accounts are the originators of online accounting in the UK. Their software makes doing your books easy by automating painful tasks, integrating multiple business systems and allowing you to run your business on the go. everreach customers get a free 30 day trial of Liquid Accounts and a further 50% off for 3 months when they subscribe. Rated People is the UK’s largest online trade recommendation service and its mission is to connect homeowners with the very best local tradesmen. Homeowners who are in need of a tradesman can post jobs for free on Rated People and receive quotes from up to 3 interested tradesmen. Every month Rated People introduces more than 50,000 homeowners to quality, local tradesmen. Autonet Insurance is the UKs largest independent van insurance broker. With a range of products available they are dedicated to providing expert insurance solutions to both individuals and businesses across the country. The PDA is the UK’s largest trade and employers’ association for contractors in the painting and decorating industry. Being a member of the PDA distinguishes professional businesses from the crowd as they adhere to the PDA Code of Practice which demonstrates their commitment to professional, quality workmanship and fair practice throughout their business activities. F6S is the leading global community for startup founders. It is made up of startup founders around the world, thousands of supporting companies, more than 3,000 startup programs and thousands of mentors and investors. 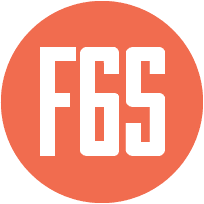 The F6S community is focussed on helping founders grow through startup events, accelerator programs, community and jobs. The F6S Startup Card deals now drive the world’s largest tech startup deals community. 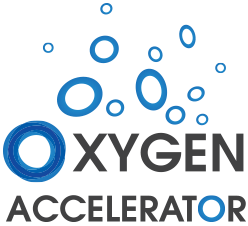 Oxygen Accelerator is a tech accelerator. A 13-week intensive mentor led bootcamp that culminates with a series of investor days where they will help you pitch to a large, carefully selected group of Angel investors, VCs and Private Equity groups for next stage funding. Innovation Warehouse brings together entrepreneurs, investors and innovators. Their locations provide co-working, shared office space and access to startup growth accelerator programmes such as seed funding, angel investing, mentoring and events. Business growth is the most important focus for the Innovation Warehouse.